I read and reviewed Gerbrand Bakker’s The Detour last month (you can read it here) and absolutely loved his writing style. So after I read a few other books and was wondering what to read next, I was craving some of Bakker’s simplistic but atmospheric writing. The only other title of his translated into English is his debut The Twin which I eagerly picked up from the library. I wasn’t disappointed. The Twin tells the story of Helmer who lives on a remote farm in the Dutch Platteland with his elderly father. Now in his late fifties, Helmer is still looking after the farm that he was forced to return to after the death of his twin brother many years earlier. But this isn’t the life he wished for. One day, his brother’s ex fiancé and her teenage son make contact with him, and for the first time in his life, Helmer has choices put before him. As I mentioned in my review of The Detour, I like Bakker’s prose that is sparse but powerful, and his style is the same in his debut novel The Twin. The prose is sparse and restrained – Bakker clearly knows when to hold back – and what we’re left with is controlled, powerful prose. In some ways, its power comes from its restraint. This measured and precise prose gives the feeling of animosity, desire, and aspiration simmering under the surface which is incredibly effective. While some of the characters’ thoughts may be complex, Bakker writes them simply and with economy. There are also beautiful turns of phrase throughout the novel, showcasing not only Bakker’s writing ability, but the great translation by David Colmer. Bakker is an observant writer and the novel is full of sounds – the buzzing of a clock, the sound of the sheep, the call of a black crow, the sounds of his father coughing – all of which add to the novel’s atmosphere. The landscape, which is prevalent in the novel, also adds to this. In The Twin nothing much happens plot wise, but the novel is a compelling read. I quickly became engrossed in Helmer’s life on the farm, his routine and daily tasks, his observations, and his interactions with the people that visit. The topic of twins in this novel is an interesting one – even now, years after his brother’s death, Helmer feels like half of a person. Perhaps it is this which makes him such an interesting character. Helmer has never had a choice in anything, even his clothes and the farm animals have been passed down to him. He finds it difficult to express his desires, for many reasons, so they are instead expressed subtly through his actions. Throughout the book I got the sense that sometimes he didn’t even know why he did things or what he really desires, and in some ways the readers find out before he does. After finishing the book, I found it particularly moving how I’d watched Helmer progress and change throughout the novel. Bakker delicately weaves the threads of his story, along with the characters’ lives and hopes, throughout the novel. The story can be sad and bleak at times, but there’s hope too, creating a contemplative and moving story. There’s also a delicate humour in places, adding another element to the book. Overall, The Twin is a subtle novel, but a powerful and memorable one. If you’re looking for a book that’s full of action and plot twists, it isn’t for you. 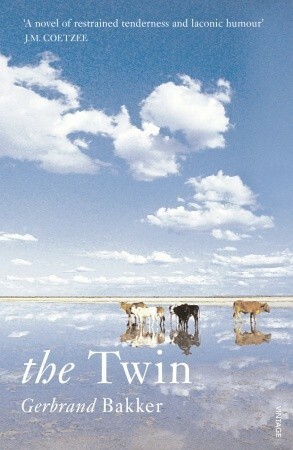 But if you’re looking for a quiet and understated, but powerful book, I’d highly recommend The Twin.